Horror movies play a large role in the movie industry, although, sadly they do not get the same level of box office success as the action, romance and family genres. However, where they may not have the same level of income as the other genres, they make up for this by being the adrenaline rides that you cannot get from any other film genre. We have seen many scary horror movies from the genre as a whole, spreading from the early days of film-making, right up until the present day, however, it is todays horror movies which are a class above all of the others. This is due to them having the capability of scaring the socks of anyone, no matter how fearless they claim to be, as there is always one horror film which will do the trick of frightening them. The 21st Century has delivered audiences some of the scariest horror movies ever to set foot on the big-screen, from film-makers like Sam Raimi, the director of "Drag Me to Hell" (2009), being a scary movie, to the horror-remakes like "Friday the 13th" (2009) and "A Nightmare on Elm Street" (2010), which were a couple of good Friday night popcorn scare-fests. However, none of these horror movies have made the cut on this list, even though they were frightful, each in their own way. Today's horror movies are scarier than they have ever been before, being the driving force behind our need to create this list of the 7 best, along with 3 honourable mentions. The list is as follows. A haunting horror movie, as backpackers out in the Australian outback fall prey to a dangerous bushman who takes them captive. The fact alone that the backpackers have no immediate help anywhere around them as they are taken captive by an armed bushman with a taste for hunting down helpless victims, makes the movie difficult to watch at times. Secondly, the terrifying ruthlessness of the bushman as he captures the backpackers is unnerving, adding to the difficulty in watching the movie as the thrills begin to take place. Certainly not a movie to be watched alone, as you'll be given your first reason through visual aid for as to why you shouldn't ever go backpacking in the Australian outback. Ethan Hawke is brilliant as Ellison Oswalt, a struggling non-fictional crime writer who finds himself living in a house with a sinister history, which slowly unravels as Oswalt looks into the murder which took place in the house that himself and his family are currently living in. Creepy, we know. The evil lurking within the house is unsettling to say the least, worsened as the days light fades and Oswalt does his research into the murder, so that he can begin writing his book telling the true story of what happened. The scares will make you jump as the movie masters the mix of being a terrifying horror, thriller and mystery film. The movie focuses on Ethan Hawkes character, Oswalt, being a fitting decision as it allows the audience to delve deeper with the character into the mystery of the murder which took place in the house, and just who the murderer might have been. A magnificent directorial piece by James Wan, the director behind Insidious and Insidious: Part II, as it jumps into a terrifying story of a haunted house and the family currently residing in the residence. This causes the family to seek help from paranormal investigators, Ed and Lorraine Warren, who are tasked with ridding the dark presence from the family's farmhouse. Start to finish, the movie is terrifyingly structured, not that this is too much of a surprise as James Wan has proven that he can bring the scares into a horror movie. The paranormal presence in the seemingly normal farmhouse is chilling to the bone, due to the effective use of darkness as a weapon for the ghosts to scare and terrify the family. Worsened by the fact that the family is stuck in the house, as they cannot afford to leave the house, making it all the more dreading as the movie progresses forward. The movie is one of the scariest, if not the scariest paranormal activity movie ever made, as it takes advantage of humans natural fear of death, and has an unusual storyline which is unlike any other horror movie on the market. The effective use of the right music sets the mood for this tense, edge of your seat horror movie which will remind you why you were once scarred of dark rooms. Just another horror movie that you'd be a fool to watch alone, as it takes you back to all of your childhood fears, being a triumphant effort as far we are concerned in creating an entertaining, but scary horror movie. When a caving expedition goes wrong, the explorers find themselves trapped deep into the caves, but the real danger comes when the group are hunted by a strange breed of predators. This was the last movie that we were expecting to be scary, let alone make it onto this list of the scariest horror movies of the 21st Century (so far). Although, doubts aside, this is one of the scariest and best put together horror movies that we have seen in a long time, especially because of the well executed moments of fear as the explorers wonder deep into an isolated forest, and then into a desolate cave, which let and behold is the residence for a strange, unknown breed of predators. The movie really brings home the fact that the explorers are all alone, plus, all of the explorers are women, which we feel helped make the movie feel that bit more scary. To watch this movie alone, would mean the result of having nightmares for the next week. This is Zack Snyder's directorial feature film debut, which we guess is something special, to add on top of this that the movie was a complete success, if the success can be determined by the fear-omiter, as we feel that if this is the case the fear-omiter will be going through the roof, meaning a complete success for the director. Movie remakes get a bad wrap these days, in part because of the large number of horrendous movie remakes that we saw released on a regular basis, but this movie is far from that statistic, as it has all of the elements of what makes a great movie and much more. This is the movie that added to the viral takeover of the zombie, horror sub-genre, being that it was that good of a movie. Snyder set out to create a movie remake which would be worthy of the big-screen, and wound up creating one of the scariest, zombie infested horror movies of all time. This is the movie that will make you look twice at the news every morning just to make sure that the world hasn't been consumed by a zombie outbreak whilst you were peacefully sleeping. All that we can think to say after watching this movie is, "thank god that VHS's have been wiped off the face of the earth". Wondering what we mean by this, then just watch the movie, and for those who've already seen the movie, you'll know what we mean. If you're wondering what Gore Verbinski was doing before he directed Pirates of the Caribbean, well he directed this psychologically tormenting, mystery, horror, which will leave you wanting to watch cartoons before you go to sleep. Yes, it was just that scary. 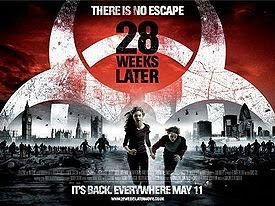 Following straight on from where the first (28 Days Later) left off, Britain is now being cleared up, as the American government has sent soldiers to deal with the aftermath operation, which is now safe to do as the zombies have died of starvation. A realistic look into what the world would look like after a zombie outbreak has taken place, but this time around the zombie outbreak has been taken under control, or at least for the time being that is. The zombie pandemic soon starts up again after an unfortunate situation happens, resulting in another survival story, as two young siblings, a medical officer and a US military officer go on the run to escape the zombies which now flood the streets, yet again. A terrifyingly realistic look at a future where a zombie outbreak has taken place, and the aftermath of the horrific battle between man and the living undead. The zombies are scary in all of their form, making it a feel of deep pain for the survivors, and the less fortunate eaten (by zombies) survivors. When a couple are alone in a house in the middle of nowhere they are terrorised by 3 mysterious psychopaths, and it is easy whilst watching the movie to feel the distress and fear that the couple are having to go through as the living nightmare begins. Every scene is an attempt to push the fear further into the couple, and the use of a single location for the majority of the movie's filming was a smart move, as it allowed more time for the couple's terror to escalate. A mastered horror movie, focusing primarily on the couple in the house and the 3 lingering psychopaths. Another great movie remake which is added to our list, due to its ability to take a simple storyline and make it a movie that you won't forget too soon, mostly due to the jumps and unexpected scares that the movie provides throughout its duration. 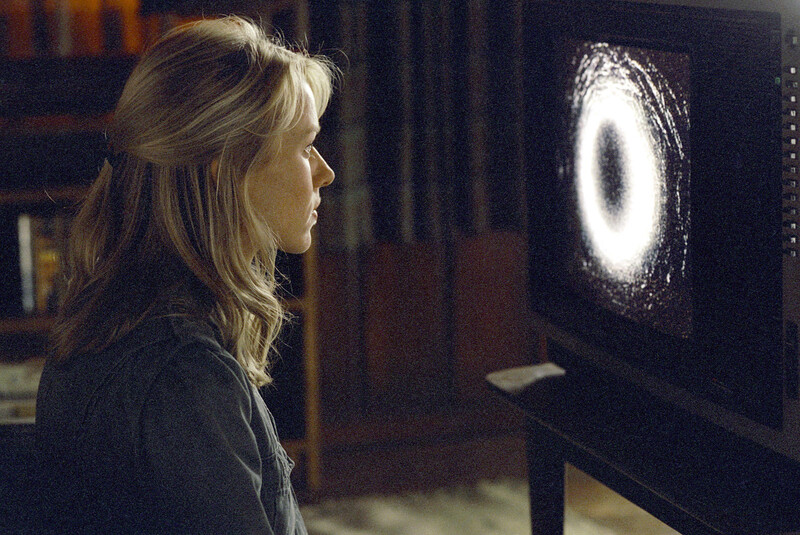 The movie's storyline has an edge of darkness to it, even before the creepy appearances start happening of the previous inhabitants of the house where the creepy events took place. A must-watch for any true-horror fan, as it doesn't disappoint. Do you agree with our list? Are there any movies that we have missed from the list? Leave your answer in the comments box below.